The kitchen is the room in the house that is used the most and has the most foot traffic. A badly planned kitchen can make the simplest of tasks seem like an Olympic trial; with too little countertop space, a sink that you can’t wash the dishes in easily, and bad lighting, accidents are waiting to happen. Successfully planning your kitchen will reduce any construction chaos down the road, whilst helping you to stay within your budget. To help you create the kitchen of your dreams in the quickest possible time, read our top tips on how to plan a kitchen remodel. The first thing you must do is review your current kitchen design. You must measure everything to ensure you have the right dimensions before you install a new kitchen. Don’t forget about doorways, too. One big mistake many homeowners make is buying an extra-large fridge that they are unable to squeeze through a doorway. Do you live in a busy household? If so, you will need to ensure there is enough space for more than one person to move within the kitchen. This will ensure everyone can make use of the space at one time, so there are no arguments or frustrations within the home. For instance, you should consider ergonomics when considering a kitchen design. For example, you could install an adjustable counter top that moves up and down, or can feature pull-out shelving in the base cabinets. This will make the kitchen a fun space to cook up a feast with the whole family. Do you have no experience when it comes to a kitchen remodel? While it might be tempting to do the hard work yourself, you should hire an expert to professionally complete the job. You simply need to research a skilled builder near me to hire a qualified, experienced kitchen fitter, who can make the installation process a pushover. If you fail to hire a professional, you could unfortunately pay the price for any small or large mistakes you make along the way. To effectively prepare for a kitchen remodel, you should expect the unexpected. This means leaving a little wiggle room in your schedule for a hold-up or issue that could prevent the installation from being completed on time. So, if you want the kitchen to be remodeled in time for Christmas, aim for it to be finished by Thanksgiving. 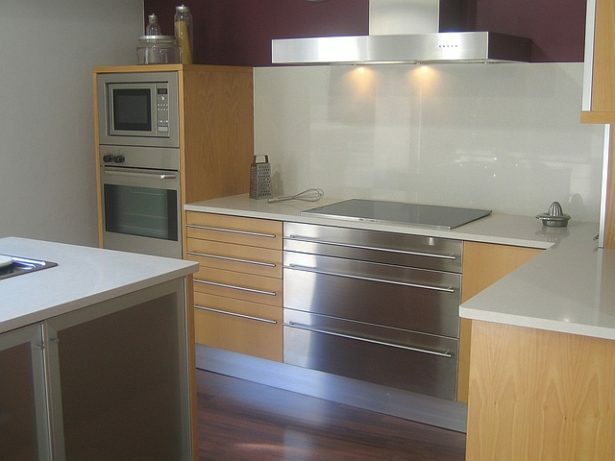 Do you want to install your kitchen at the quickest possible time whilst eliminating costs? If so, we recommend you keep the kitchen footprint as it is. Don’t knock down any walls, or change the location of electrical outlets or pipes, as this can cause significant delays that could slow down progress and could leave you kitchen-less for a long time. Speed up the process by keeping the pipes, outlets, appliances and walls in the same location. It will minimize delays and expensive reconstruction fees. Don’t compromise on quality for the sake of $50, and choose products that are both durable, functional, stylish and low maintenance. For example, a solid countertop might cost a little extra, but you can trust they will stand the test of time. You should also consider products that come with an extended warranty for peace of mind. This is a good plan for make a beautiful kitchen. Kitchen room is an essential room for a house. So that when making a kitchen so making the best model kitchen. Your plan very beautiful Thank you for shear this. This is great. Nice to read your blog on kitchen remodeling. This is simply great!